The CDC is sounding the alarm about a potentially deadly superbug, carbapenem-resistant Enterobacteriaceae (CRE), on the rise in hospitals around the country. 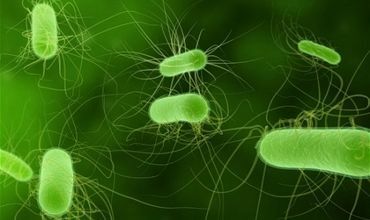 The CDC is sounding the alarm about a potentially deadly superbug, carbapenem-resistant Enterobacteriaceae (CRE), on the rise in hospitals around the country. After a recent uptick in the recorded cases of the drug-resistant bug, federal health officials released a report urging medical professionals to do their best to prevent CRE from spreading further � but this week, the CDC is upping the ante, warning that the �nightmare bacteria� represents one of the biggest threats to patient safety in our nation�s hospitals. People with compromised immune systems, who are either hospitalized for a long time or living in a nursing time, are most at risk for contracting the superbug. About 4 percent of hospitals in the U.S. have had at least one patient with CRE, and that figure rises to 18 percent for long-term, acute-care hospitals � although the CDC points out those numbers could actually be underestimations. There�s no reliable national data on the bacteria because the overwhelming majority of states don�t require hospitals to report any information on their CRE cases, and there�s no federal reporting requirement either. Even though CRE cases remain rare, the threat of drug-resistant antibiotics is a serious issue with potentially disastrous implications. The CDC�s Friedan pointed out that one of the most troubling things about CRE bugs is the fact that they can transfer their antibiotic resistance to other bacteria � hastening the rise of antibiotic-resistant diseases, which is already a growing global health issue, even further. And Congressional response is to cut health research funding by 5-8% with the sequester...would poetic justice be their family members or themselves getting this bug? Sick people are more susceptible. They should avoid hospitals. Seema a matter of time before mother nature wipes us out again! My produkujemy coraz lepsze antybiotyki, a bakterie coraz lepiej przed nimi się bronią. Indeed one the most dangerous places is a hospital. Money now has supremacy over the health of the public a fact that we can not allow. These super bugs are real, can be passed on, and without constant research we can face another Pandemic, this time we may not as lucky as the Spanish Flu, which killed at least 50 million world wide. We have more people, they are more mobile and live much closer together, this is a crisis that can be averted. Thanks for this posting, my friend. Geez, guess we better keep healthy and avoid going to the hospital. Hope I don't need to be hospitalized for anything until this wave passes, if it does. I have been hospitalized a few times in the past 3-4 years. They give a form to fill out rating them before you leave. Well, when I was in for a few days, I noticed how dirty the floor was all around the walls and thought that is a good place for germs to grow in that built-up dirt. I gave them for a top rating for everything, and then noted that the "Floor all around the wall could use a good scrubbing to avoid spreading bacteria". Never heard from them. lol. Natasha, I'm with you. lol. JLA, I'm with you too and can think of a few more. lol. Cutting funding for health services is the most cynical and dumbest thing to do. thanks, very sad and dangerous. It's not new, & it's not from going to hospitals, it's from over use & misuse of antibiotics.Take antibiotics for every little thing & they stop working .People having knee replacements & hip replacements seem to be most likey to contact it, & it is contagious. Yes, this is a new phenomena. New as in recent years and yes it is due to over use antibiotics. They are in our food supply and overused by the medical profession. If you think hospitals are clean, than I would suggest you actually watch how rooms are NOT cleaned, and pay attention to how often nurses and doctors wash their hands, how much wrong medication is given to patients, how often a doctor has no idea of the name or reason for hospitalization of the patient in front of them. When one is forced to spend many days and nights in the hospital with a loved one, one begins to become very aware of just how many things are wrong with our hospitals. There are too many people on the planet anyway. There's just enough cleaning in a hospital, apparently, to give me an allergic fever, most likely from phenol. They almost didn't let me out! "We don't understand why you have a fever, your white blood cell count isn't high, in fact it's low." Scream! This was over 20 years ago fortunately. My doctor has flat told me that, especially with my mold allergies, any bacterial infection will be untreatable, and gave me a list of immunizations he wants me to get (and flu is NOT among them LOL). I am now fighting with insurance. I know which article you mean Ros. I do think that many need to practice washing hands with soap and not some "anti-biotic, deodorant" concoction, that passes for soap. Many countries have banned the use of antibiotics in food production, just as many are working against the proliferation of Genetically Modified foods. I fear it maybe to late for the US. I was hospitalized for three days last October. They gave me a special soap to use in the shower for three days BEFORE I went into hospital. They told me infections had dropped around 90% in hospitalized patients as a result of this procedure. "When one is forced to spend many days and nights in the hospital with a loved one, one begins to become very aware of just how many things are wrong with our hospitals. " Oh how I can second that! Not only YOUR hospitals! Probably every hospital is understaffed and they ALL just do the very minimum one can manage in the time available. Again, HYGIENE! HYGIENE ! An aunt of mine contracted MRSA in one of our hospitals after a hip operation and is now told she is lucky to be alive she will never walk without a zimmer frame and only leaves the house in a wheelchair Hospitals were so much better run with the old fashioned matron . sounds safer to set up operations in the neighbor's garage. Near the litter box. At least the clay is clean. I too caught MRSA while in the hospital, that is one horrible infection, and took months to recover. MRSA is spread in hospitals. Also people in the hospital should never share a room with other sick people, no wonder things spread like a plague. I was hoping it was only US hospitals, sorry to hear that others have the same problems. Leave it to Gloria to always add a touch of her own unique humor. Thanks Gloria, you make me laugh. I do not wish to go to a hospital...A friend of mine caught a couple of things in the hospital.C Diff was one and the hospital put her in a room with 5 others and a guard nurse. "People with compromised immune systems, who are either hospitalized for a long time or living in a nursing time, are most at risk for contracting the superbug. About 4 percent of hospitals in the U.S. have had at least one patient with CRE" AKA its is extremely rare (note lack of patient numbers) and it will only really get you if you are already dying and/or without and immune system. BUT hospitals are disgusting places where the sick just get sicker. Thanks Kit for posting. I am with J.L., great timing to cut research funding. Seriously, stay out of hospitals. Wash your hands frequently for at least 60 sec. with regular soap. And for goodness sake, quit stuffing yourself with antibiotics every time you sneeze. it's now a world wide problem. I wash my hands so often they are like sandpaper. Well, somehow I can understand all this heck around this "superbug", but it remembers me the situation which has happened already with MRSA since the 50's, despite the fact that the scientist has known already in the late 50's that an extract from Cannabis sativa var.indica kills this resistant germs without a problem they have hidden this information. Would be interesting to see a scientist undergo a simple scientific test with this extract and an colony of this "superbug" ... you know what will happen - the bugs will die depending on the concentration of the cannabinoides. Have a nice day and wake up ! MRSA, CRE, what superbug will we be responsible for creating next? Eat healthy, stay healthy, keep out of the hospital! While I have no doubt of the fatal danger posed by CRE there are some things in the article actually articles as search all you want they all say or do not say the same things. There are no actual significant numbers. Just how many people have actually contracted one of the 40 different CRE and how many have actually died from the CRE. I say died from the CRE because all or nearly all of those infected are in long term or end of life care with multiple problems that might kill them or make them fatally susceptible to the common cold or plain old pneumonia etc. if not simply from one of the problems they had before CRE infection. Then there are the percentage numbers and the 250% increase, which are not actually anything to go on. If you actually read the articles, the percentages are not based on actual number of cases, they are based on the number of facilities that have reported ONE or MORE cases, not on the actual number of cases reported. Call me odd if you will but just why are there no hard numbers for the actual number of cases? Why are there no hard numbers on the actual number of CRE caused deaths? Now since the CRE strains remain alive in the human host for at least one year, are the infected being kept in quarantine until not not infected or released back into the public. And other than through medical devices and procedures through just what means is CRE contagious, airborne, bodily fluids, contact, wounds/open sores. And given the dangers of CRE are family members prevented from contagion? I believe Lloyd that you answered your own question. CRE like many antibiotic resistant infections will cause or can cause a shut down of one or more organs, leaving the possible cause of death, heart failure and sepsis or, lung failure and sepsis...etc..... Once a massive infection takes over our bodies to the degree that our immune system is not able to fight for us, various complications become the final cause of death. Certainly there seems to be a cause and effect loop happening in this. For years now stats indicate an alarmingly high rate of infections for patience in hospital even for elective surgery. Unless it was a life or death situation for me I will elect not to got to a hospital. One of the reasons I avoid hospitals; doctor's offices; clinics; fluoride; fast food etc,etc. I thought they had cracked the genome for the MRSA just last year? That's the problem with viruses - they mutate and they have no politics. I recently took a sick family member to the E.R, and she will remain in the hospital for a few days. I do hope she doesn't catch anything. Is this really the only efficient way to restrain human population??? Invading little green monsters... scary, especially as we can't see them. Let's pray it goes away soon! Unfortunately I know of several people that died because of infections they picked up in the hospital. I stay as far from them as I can. That's very scary and unsettling to say the least. Thanks Kit.